when you post, either using the quick post or the 'advanced'. there is a 'button' that is next to the speech bubble, or just drag over the cursor to the one that looks like a piece of film stock(which will popup the "insert video" tag). click on that, follow the instructions and then copy & paste. its not like searching CL for all those deals you seem to find. 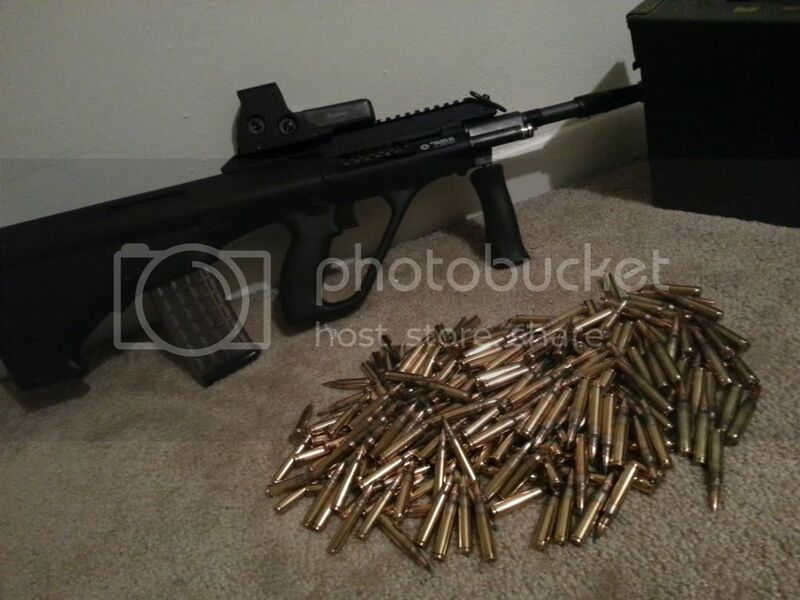 Nice Steyr AUG ELPanda. I have owned a number of AUGs thru the years and loved every one. I currently own 2. One is my shooter and one never fired. 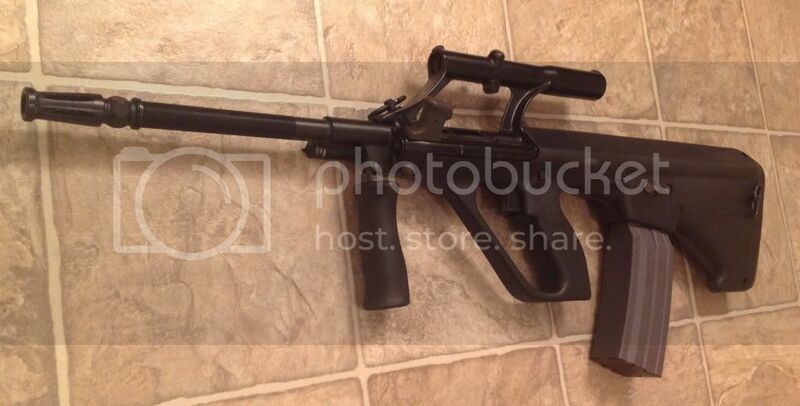 My shooter has the conversion stock so it uses AR style mags. 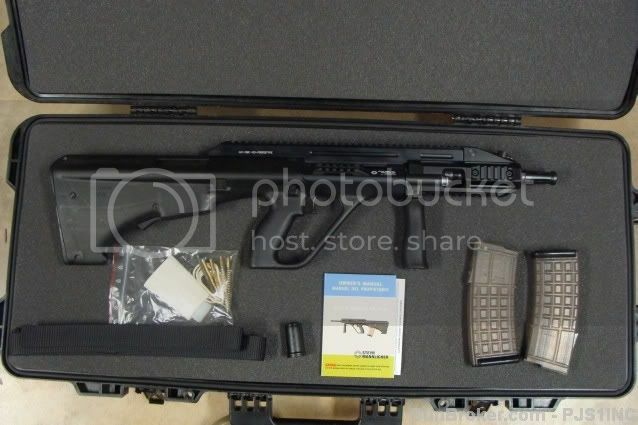 My other AUG is one of the CQC models. I was lucky enought to get the #1 US prototype. Got it from PJs Steyrs and it came with paperwork certifying it is the #1 prototype. One never fired. 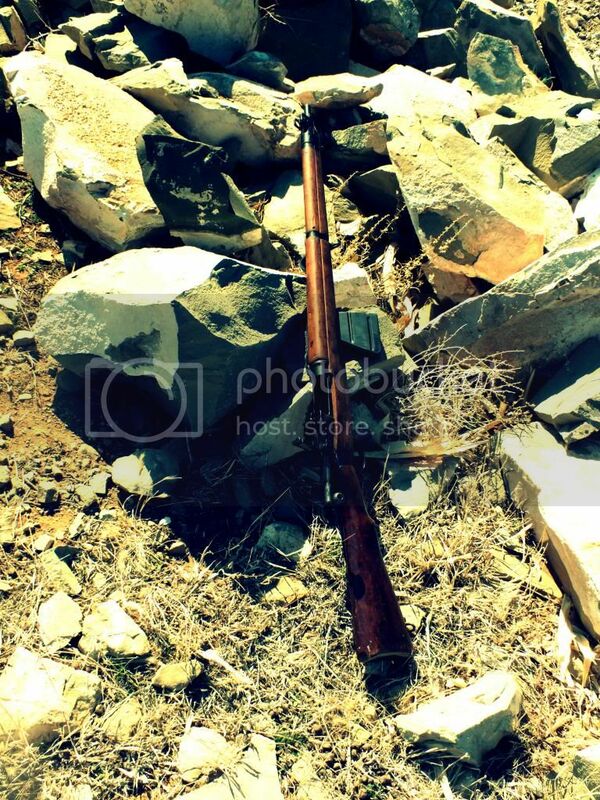 Here is my shooter. By the way, ElPanda, it looks like your AUG is reversible if you shoot lefty a lot. My first drill with my Reserve unit took us to cross train with Dane County, Wisconsin's SWAT team. They let us shoot their toys - MP5's in select fire, a semiauto only AUG, and their Remington 870's. We ran out of time or we'd have put rounds through our own unit's underfolder Romanian AK's. Funny that I wound up with my own Romy AK many years later. Ah, that's less convenient. 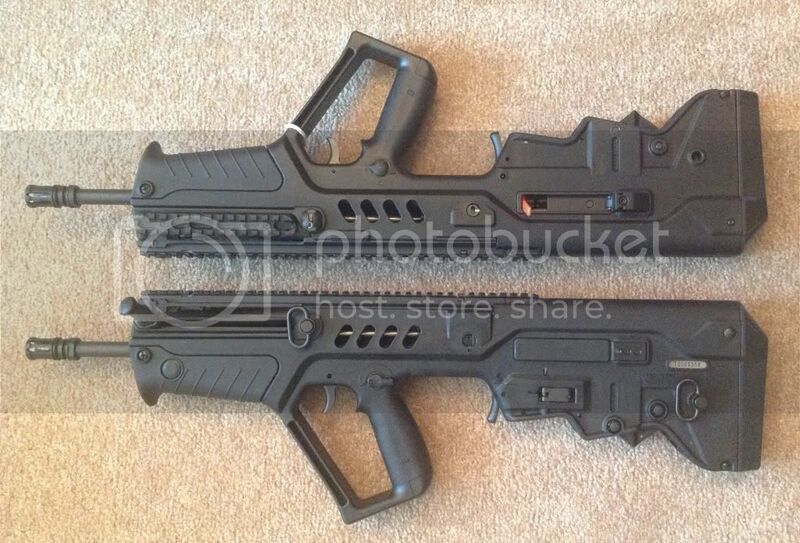 I know some bullpups can just have the ejection port and ejector claw switched. Bummer this one would need a whole new bolt. I love your choice of firearms ElPanda. I also own Steyr AUGs. Personally I have owned 4 over the years. Still have 2. The first is my shooter. 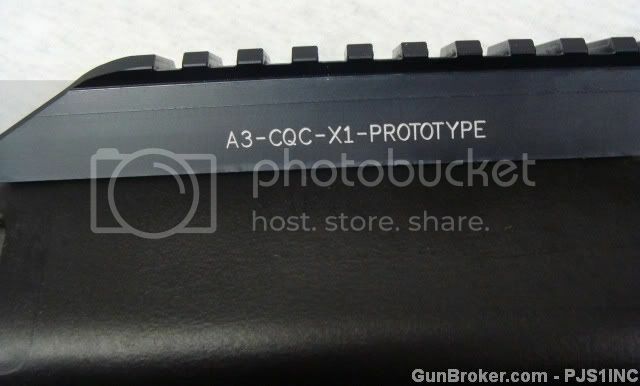 I have picked up the conversion stock so it uses AR mags. I got it from PJs Steyrs for a really good price. There were 2 companies that made these and between the 2 there were a total of 13 prototypes. It came with a certificate of authenticity and has never been fired except by the manufacturer. I am a big fan of some of the AR's that have been posted up here. 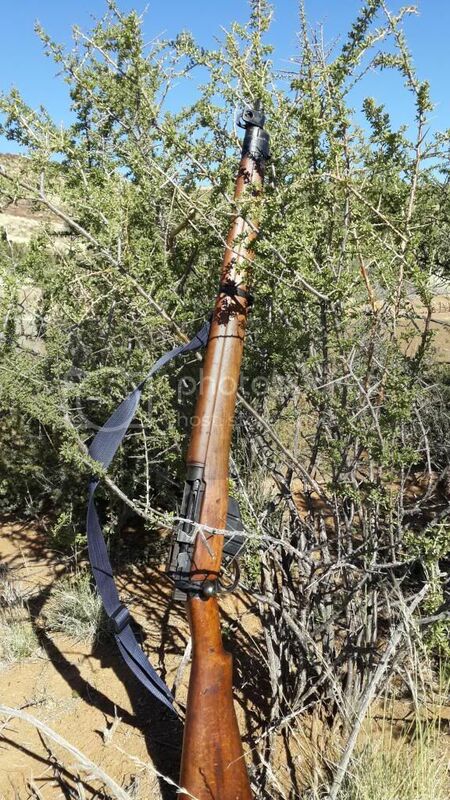 Don't know how easy it is to own weapons like that here in SA. Here is what I use on the occasion for a bit of hunting. Old but accurate. Sloppy trigger though, must get it sorted.